Here’s a fairly straightforward job I completed at a house in Middlesbrough which if you haven’t come across it before is a large industrial town situated on the south bank of the River Tees famous for its football club. 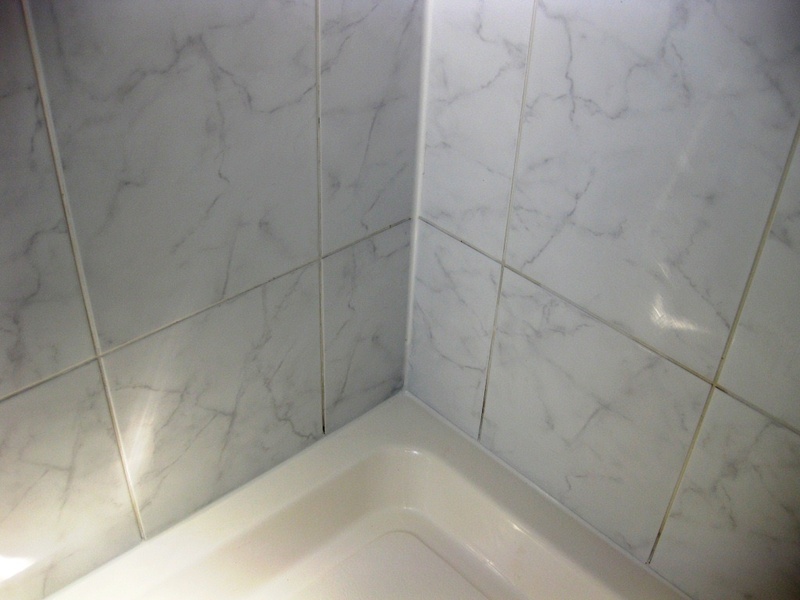 My client was keen to have the Ceramic tiled shower cubicle in her bathroom refreshed, paying particular attention the areas where the tiles and grout had been stained by the chemicals in shampoos and soaps. There was also signs of mould build-up that needed to be addressed. My first task was to mix a strong solution of Tile Doctor Pro-Clean and clean water. Pro-Clean is an alkaline-based cleaner that is highly effective for removing grease, soap scum, and more. 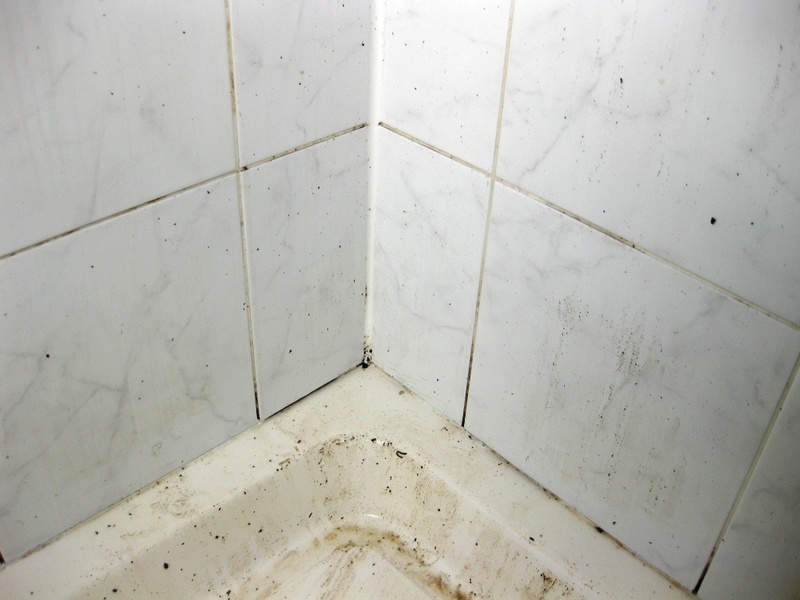 While in this case I used Pro-Clean to clean the Ceramic wall tile and grout, it is also suitable for use on most natural stone floor tiles, including Granite, Slate, Limestone and Travertine. I then decanted the solution into a spray bottle, and applied it to the tiles and grout. The reason for using a spray bottle is due to the fact cleaning products generally don’t stick very well when applied directly to vertical surfaces. When applied via a spray bottle the solution is mixed with air, turning it into more of a vapour which clings more effectively to the surface. After the solution had been applied, I left it to dwell for a while before scrubbing it into the tiles and grout. As you can see from the photos, this made a big difference breaking down the mould and soap scum and I was soon able to wash away the resultant slurry leaving an inviting shower cubicle. The final step was to replace the silicone sealant strip between the shower tray and the tiles; the silicone strip is not so easy to clean and although applying fresh silicone can be tricky it does finish the job off rather nicely. As an alternative you can apply Tile Doctor Mould-Away which does work on Silicone however if your shower is leaking then you can almost guarantee it’s the silicone strip that’s the cause. If the shower wall had been made from stone I would now be talking about sealing the tiles however Ceramic tiles are glazed and won’t take a seal so the only consideration would have been to use a Grout Sealer however in this case we didn’t feel it was necessary. The shower cubicle now looks like a new installation and my customer was very pleased with the transformation. This entry was posted in Work History and tagged ceramic tiles, grout cleaning, Middlesbrough, shower cubicle, teesside, tile cleaning by abzdominise. Bookmark the permalink. Great result, we get a lot of work preparing properties for sale or rental after a long lease, it makes a lot of sense and refreshing a bathroom or kitchen makes the property more appealing and adds a lot of value.